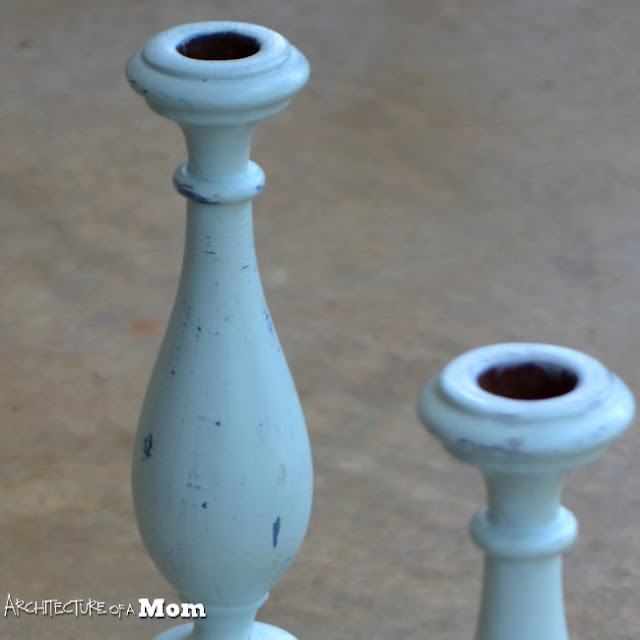 Isn't there something amazing about a fresh coat of paint(even when it's distressed)? 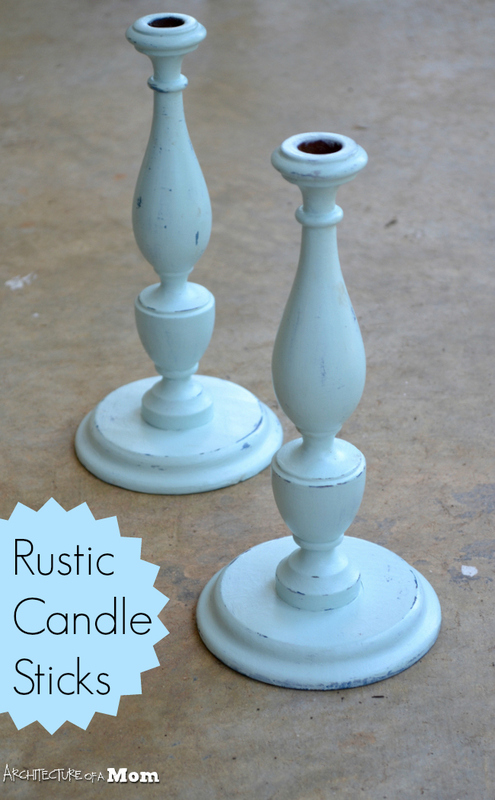 I am os excited about these rustic candlesticks! After living with them for almost a year, I decided that I wanted to simplify. That's part of the attraction of paint—how easy it is to redo. So now, instead of a drybrush heavily rustic look, I have a simple, lightly antiqued look where the form is the center of attention—not the finish. The steps are pretty easy with this painted piece. I simply lightly sanded the wax that was on the paint before to rough it up. Then I applied several coats of satin sheet latex paint – I used Sweet Retreat by Clark & Kensington—I had a sample jar of this color, and it's a extremely light aqua color that just seems fresh to me. I did several coats, sanding between coats to cover up the previous dry brush effect. When I had achieved the coverage I wanted, I lightly sanded the edges and a few other locations to gain a very light distressed look. In a few places, the distressing went down to the wood, but mostly I exposed the dark blue and gray behind the aqua. 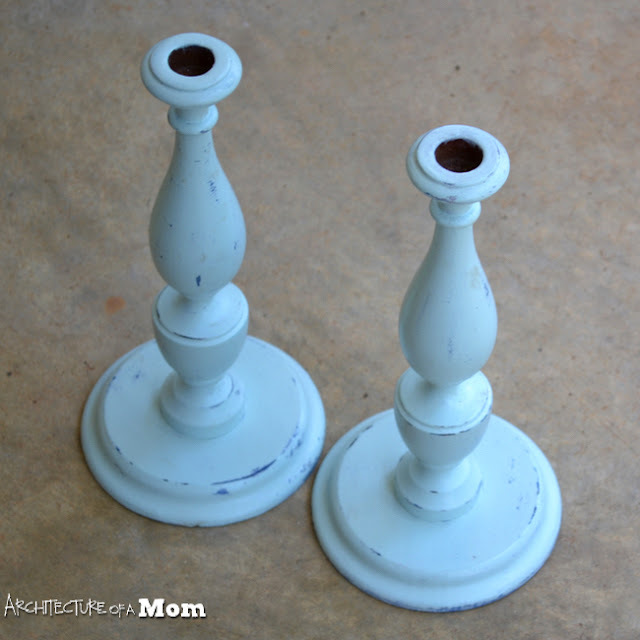 Then, I waxed the candlesticks with creme wax and buffed it to a high sheen. It almost looks like these candlesticks are enameled. I love how a simple paint job can change the look of a piece so quickly! I'm off to more paint jobs...how about you?